The PUC (Public Utility Commission) of Texas issues an energy conservation alert today. Due to the rising heat in Texas they are concerned about the strain on the state electric grid. Reducing your energy consumption will help to lesson the burden on this electric delivery system. PowerMax Energy can also help you to reduce the cost of your electricity bill during these times of extreme heat. Give us a call today to see how much money we can save you on you energy bill especially during these times of high air conditioner usage. You can reach an energy specialist at 800-580-6184 ext. 300. When at home, close blinds and drapes that get direct sun, set air conditioning thermostats to 78 degrees or higher, and use fans to cool the air. Do not use your dishwasher, laundry equipment, hair dryers, coffee makers, or other home appliances during the peak hours of 3 PM to 7 PM. Check out other no- or low-cost conservation tips or other energy efficiency improvements you can make to your home by clicking on the links to the right. 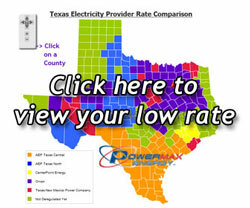 Go to [ www.powermaxenergy.com ] to see if you can save money by switching to a lower cost retail electricity provider. Your choice of electric provider does not affect the reliability of your electric service, the frequency or duration of outages, or the time it will take to have your electric service restored if an outage occurs. Amanda Svaleson has written 11 post in this blog. Wendy Merritt is a partner and Vice President of PowerMax Energy. She has enjoyed working with PowerMax Energy since 2003. When she's not hard at work, she's playing with her one of her many pets on her ranchette, singing or tinkering with technology. Wendy can be reached at 800-580-6184 ext.508.